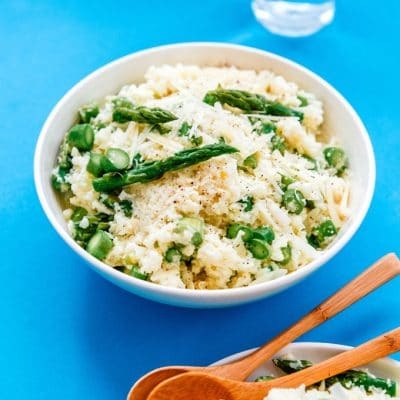 This Cauliflower Risotto recipe is a low carb, keto-friendly twist on traditional risotto. Creamy and cheesy without all the carbs! I’m a huge fan of risotto. I mean who isn’t? Creamy, carby goodness that’s easy to customize with whatever you have in your fridge! But I’d be lying if I said traditional risotto doesn’t have its drawbacks. For one, it takes forever to make. You’ve got to slowly add the broth over the course of 30 or so minutes, meaning you’re hovering over the stove for the entire cooking time. But even more so, traditional risotto isn’t all that healthy. It’s virtually all carbs and fat, without much in terms of healthy nutrients. 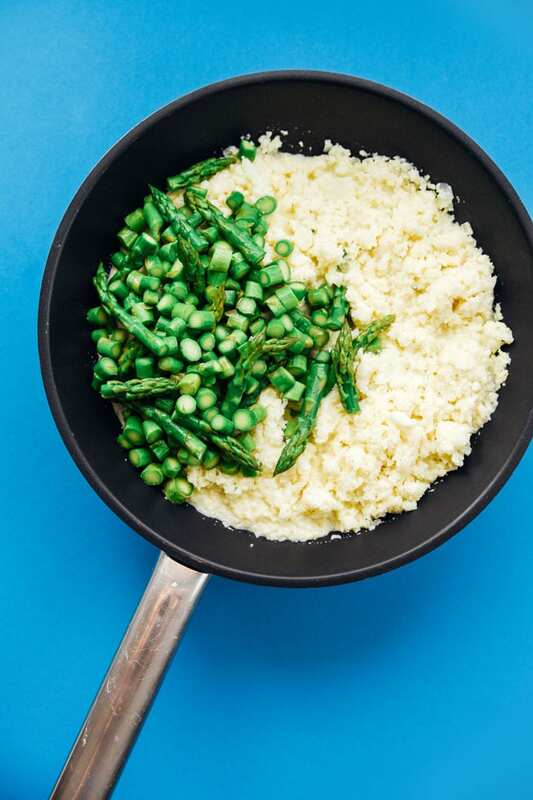 So today we’re lightening it up and swapping out the risotto rice for cauliflower rice. That’s right, friends. Riced Cauliflower Risotto! 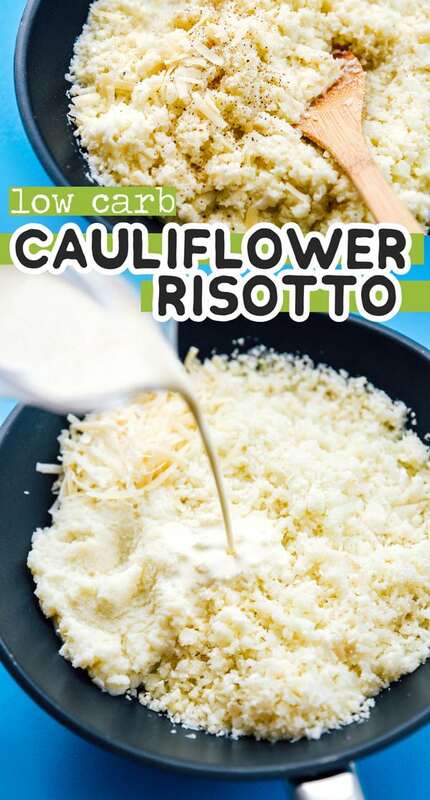 Cauliflower (duh): Riced cauliflower makes up the bulk of this low carb risotto! Flavor Makers: Garlic and shallot lay down serious flavor to get us going. Vegetable Broth: Just like traditional risotto, we’ll cook our “rice” in a bit of broth to infuse it with even more flavor. Veggie: You can throw in whatever veggie you like, such as sautéed asparagus or mushrooms! Making this Cauliflower Risotto is pretty simple. 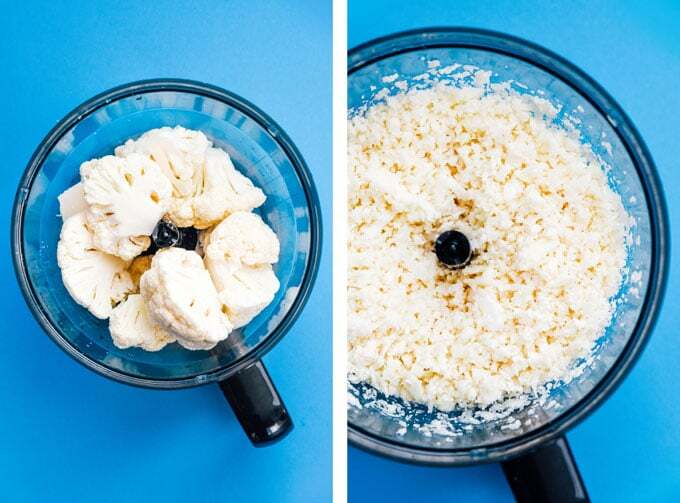 Process your cauliflower into “rice” using either a food processor or a box grater. 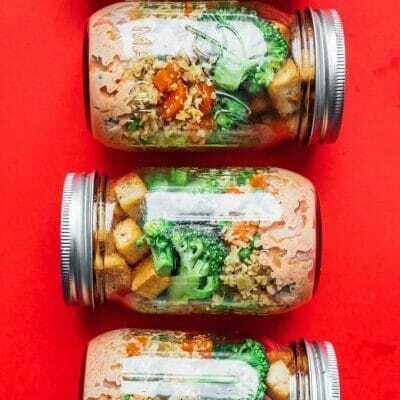 Simmer the cauliflower rice in a flavorful broth mixture just until it’s tender. Stir in your parmesan and cream, season with salt and pepper, and mix in your optional extras. That’s it, friends. 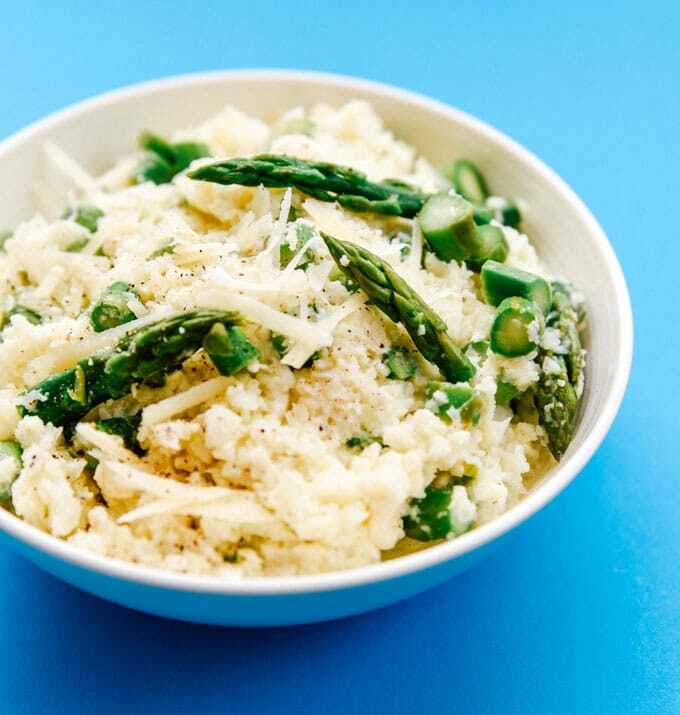 Low carb, ultra-creamy Cauliflower Risotto coming your way! 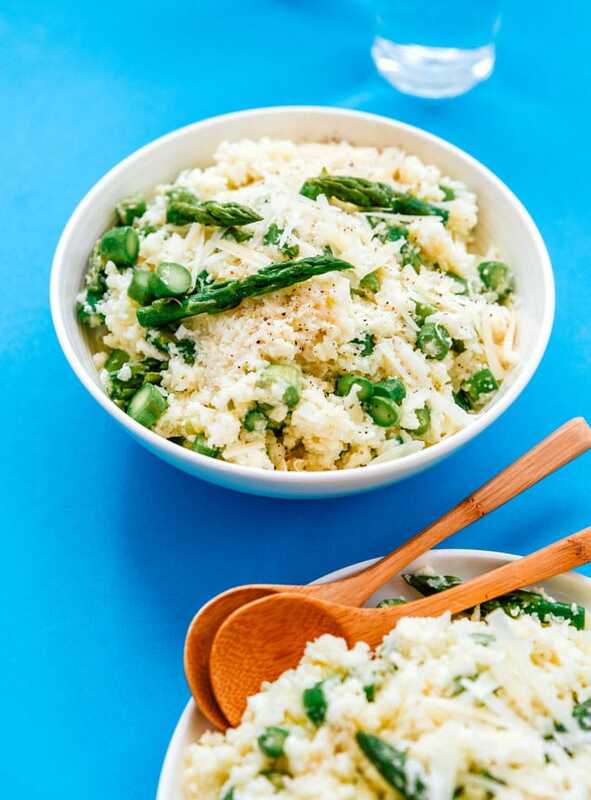 We’re making a really basic version of riced cauliflower risotto today, but you can easily flavor it up and add fun ingredients to mimic your favorite risottos (like Lemon Basil Risotto, Gorgonzola Risotto, or Mushroom Risotto). I threw in sautéed asparagus because it’s spring and therefore prime asparagus season! 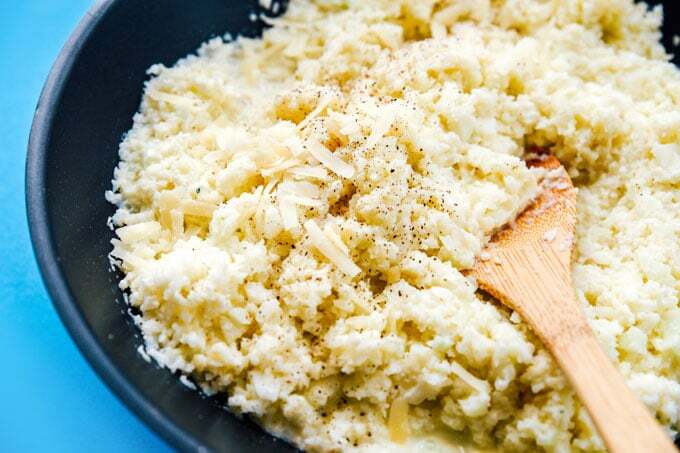 Rice: Rice the cauliflower by either blitzing chunks of it in a food processor or grating with a box grater. Cook: Heat oil in a large sauté pan over medium, then add shallot and garlic. Cook until shallot is tender, then stir in riced cauliflower and vegetable broth. Cover and cook for 10 minutes, or until cauliflower is tender. 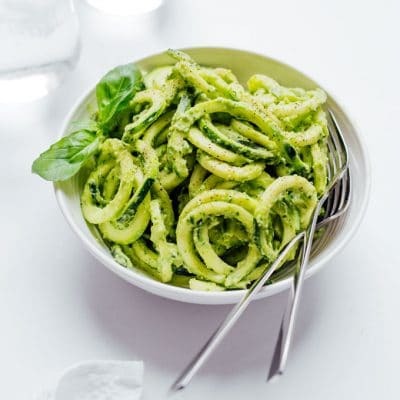 Puree: Scoop about ¼ of the cauliflower mixture into a blender or food processor and puree until smooth and creamy. Drain excess water from the remaining ¾ of the cauliflower. 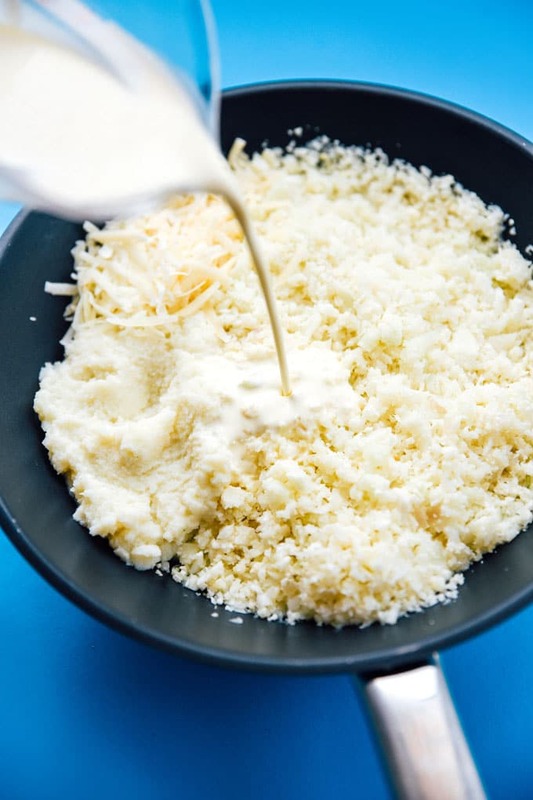 Stir: Stir pureed cauliflower back into the cauliflower rice, along with the parmesan and heavy cream. Taste and add salt and pepper, as needed. Optionally stir in sautéed asparagus (or your favorite veggie). This recipe first appeared over on Amanda’s Cookin’, where I’m a contributor. 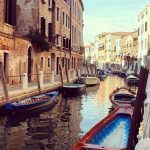 This post contain affiliate links, which means if you make a purchase after clicking link, I may earn a commission (at no extra cost to you). Thanks so much for dropping by and for making easy recipes like this low carb Cauliflower Risotto possible!